THERE may be something of a feeling of after the Lord Mayor’s show when Billy Horschel defends his title at the Byron Nelson at Trinity Forest Golf Club coming as it does the week after the much-hyped Players Championship at TPC Sawgrass. Sadly, that is reflected in the field, with many of the world’s very best golfers choosing to head home for the week and lick their wounds. 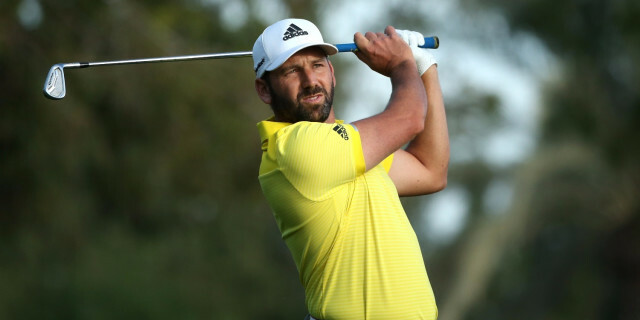 But the good news for the tournament organisers is that Open champion Jordan Spieth and 2017 Masters champion Sergio Garcia are in the field, and could be the men to beat. It is impossible to overlook the credentials of Mr Top 10, aka Matt Kuchar. Many people may believe he is having a quiet season but going into the Players Championship he had already accumulated a further three top-10 finishes on the PGA Tour this season. The man who finished second to Spieth at the 2017 Open produces a level of consistency that is hard to get your head around. It is all too easy to forget that he has actually won seven times and he seems to knock on the door almost every single week. There is nothing remarkable about him or his game. He doesn’t hit the ball terribly far and he doesn’t putt all that well either. But he finds an awful lot of fairways, he seldom three-putts and he is a magician with a fairway wood and a rescue club in his hand, and that means he is not in the least bit fazed when he turns up at a golf course measuring 7,600 yards. He knows that he can’t reach all the monster par fives in two but he also knows that his accuracy means he will be able to get close enough, and in play, to be able to give himself a great shot at making birdies at most of those holes. It is a great weapon to have in your bag. And he is, of course, one of the nicest men in professional golf. Kuchar hits a bad shot and the very worst you will hear from his lips is: “Aw shucks!” And that’s why everybody loves him. He may not win this week, but it is a fairly safe bet that he will be adding yet another top 10 to his impressive collection. Garcia is in need a good week. After a miserable defence of his Masters title, where he comfortably missed the cut, the Spaniard should now feel unshackled. He waited a long, long time for his first major and then had to turn up every week at tournaments and tell everybody how good it was to have got the monkey off his back. With that onerous responsibility now having been passed to Patrick Reed, Garcia should be free to focus only on his golf. He continues to strike the ball as well as he has ever done - is there a better driver of the golf ball on the PGA Tour? But his putting continues to be a source of concern. One week he will turn up and use the claw grip, the next he reverts to the traditional grip - and sometimes he even changes mid-round. If Garcia could ever find a way to exorcise his demons on the greens he could still win several more majors. Last season was a brilliant one for him, with victories at Augusta, Dubai and in his homeland but he has struggled to rediscover that sort of form in 2018. One good week will change all of that, and it will surely help him that he is a previous winner of this event. Matt Kuchar. Another week, another top 1o finish?